Talking Shop is an interview series where we talk to freelancers about freelancing. In this interview, we talk to Debra B. McCraw, a copywriter in Chicago, Illinois. Debra: I never thought I would be self-employed — I liked the stability of a 9-to-5 job and a steady paycheck. I started my career as a full-time editor, and over time I transitioned to writing, most recently doing a mix of internal and external communications for Goodwill Industries International. In 2009, I moved to Chicago and while looking for a new full-time role, started picking up freelance projects here and there. Goodwill was actually one of my first freelance clients. As friends heard I was freelancing, they started referring me projects, and, before I knew it, I wasn’t looking for a full-time job anymore. When I first got started, I was posting on Facebook and telling anyone who would listen that I was a freelance writer and editor specializing in corporate communications. I would say probably 90% of my work still comes from word of mouth. I’ve also never had any qualms about reaching out to people. If there is a company I want to work with, I’ll go through my LinkedIn network, look for connections and then ask friends for an introduction. What were some of the big lessons you learned then in those first few months? You have to be open to always learning. That's the only way that you can grow. What does your practice look like now? Turns out, I really do enjoy freelancing. I like being my own boss. I consider myself a Jill-of-all-trades when it comes to communications. I have a few ongoing projects — contributing to a blog for a major financial company and producing a quarterly newsletter for a local school district — as well as regular clients who contact me for short-term work. And, of course, I’m always open to new opportunities and new clients, whether on a one-off basis or as a long-term relationship. I like to be in your shoes! I really enjoy writing from interviews. I've done a lot of case studies, where I talk to people about their experience with a company, product or program and craft their story. 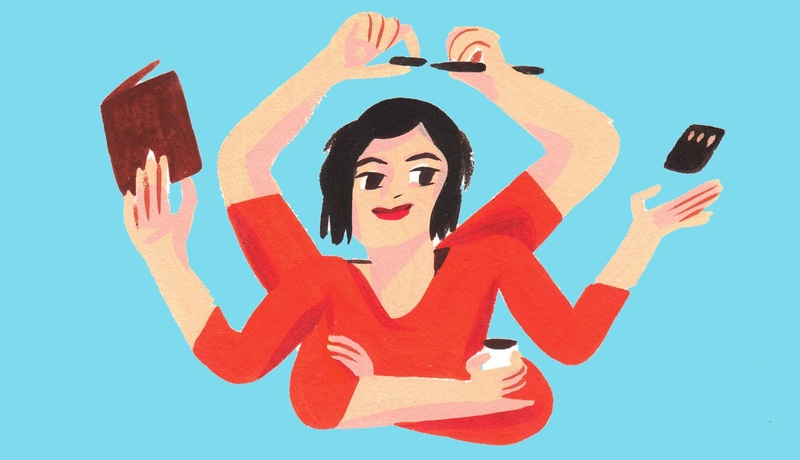 Do you see yourself freelancing for the long term? I can set my own schedule to get work done and make time for my son — sometimes within the same day. That would be a lot more difficult with a traditional job. When I started, I took on pretty much any project at any rate. Over time, I got a better understanding of my value, and therefore my worth, and I honed in on the type of clients I wanted. Now I focus on larger organizations — often Fortune 500 companies and national nonprofits. I hope to grow my business by building off my existing clients and refining the types of projects I take on. Targeting enterprise clients lets me offer affordable rates to startups, small businesses, and local nonprofits that I’d like to support. I try to balance both because I do really enjoy helping smaller organizations and individuals. You can visit Debra B. McCraw’s website at debrabmccraw.com.